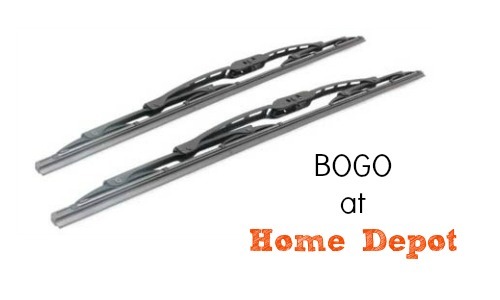 Home Depot is currently offering BOGO windshield wipers! Head to your local store and go to the customer service desk for more details and a coupon. Your FREE wiper can be up to $13.97 in value. You can find Michelin, Rain-X, Marathon, Heat & Clean, and more. This deal is valid through 2/18 and in-store only.